You would be shocked to know how many women, some as young as twenty years old, are undergoing irreversible sterilization every day in our country. These same women are being under-informed and even betrayed by the gynecologists whom they trust to make their health and well being their chief concern. Hundreds of thousands of unsuspecting women have been reassured and cajoled by their doctors into embracing Essure, a permanent female sterilization system, as their method of birth control. Sadly, Essure is not the wonderful, painless risk-free procedure that the gynecological community is so convincingly endorsing. Instead, these women are now suffering unspeakable pain and serious medical conditions that Essure often causes. Regrettably, the “go to” remedy for adverse reactions to Essure is most commonly major surgery, more specifically, a hysterectomy! So what is Essure? Developed by Conceptus, Inc., now owned by Bayer, Essure is a metal implant. There are two nickel-titanium and stainless steel coils wrapped with PET (polyethylene terephthalate ) fibers, which are inserted into a woman's fallopian tubes. The procedure is sometimes done in an office setting without anesthesia. The introduction of these coils induces an expected inflammatory response, and irritation, that encourages the growth of scar tissue, which then subsequently blocks the openings to the tubes, thereby preventing any further pregnancies. The problem is that the inflammatory response is purposefully chronic, the metals all too often evoke severe allergic reactions, and the coils may expel, migrate, be misplaced or even perforate the uterus, fallopian tube, or other organs. Also, a myriad of medical problems are known to develop in women implanted as their bodies fight to reject the Essure implants. Some of the ills Essure is presently generating run the gamut from debilitating pelvic pain, joint pain, fibromyalgia, chronic degenerative diseases, migraines, chronic fatigue syndrome, autoimmune disorders, menstrual abnormalities, numbness in the extremities, severe allergic reactions, dizziness, rashes, unexplained fevers, multiple UTI's and so much more. In addition, Essure's efficiency as a birth control method has been over-rated and drastically under-reported, as there have been a rash of unwanted, unforeseen pregnancies. In excess of seven hundred such pregnancies have been reported in stark contrast to the less than 0.01% rate Conceptus, Inc. promises (see Sources and Vital reading page). Recently, the FDA updated its MAUDE adverse reporting system to include almost 300 losses of pregnancy, and 4 women's deaths, associated with Essure. Women experiencing complications then desperately turn to their implanting doctors, whom they trust and respect, for relief from the agonies that are ravaging their bodies. Once at the doctors they are routinely called "crazy” or their complaints are callously ignored. These doctors insist that Essure cannot possibly be the cause of any of their problems. Thus, more and more hapless victims are forced to begin the frustrating search to find a gynecological surgeon with whom they do not have a previous relationship with who is willing to remove the Essure coils. This unpleasant journey frequently takes years and subjects the women who are experiencing complications to feel like they are being tortured everyday. Until quite recently, there was actually nowhere Essure sufferers could turn to learn the total truth about Essure. There were not any Internet resources available to inform and validate people seeking more complete information about the risks of this invasive permanent birth control alternative. Fortunately, now there are online groups and websites that are dedicated to educating women about the perils of this procedure. 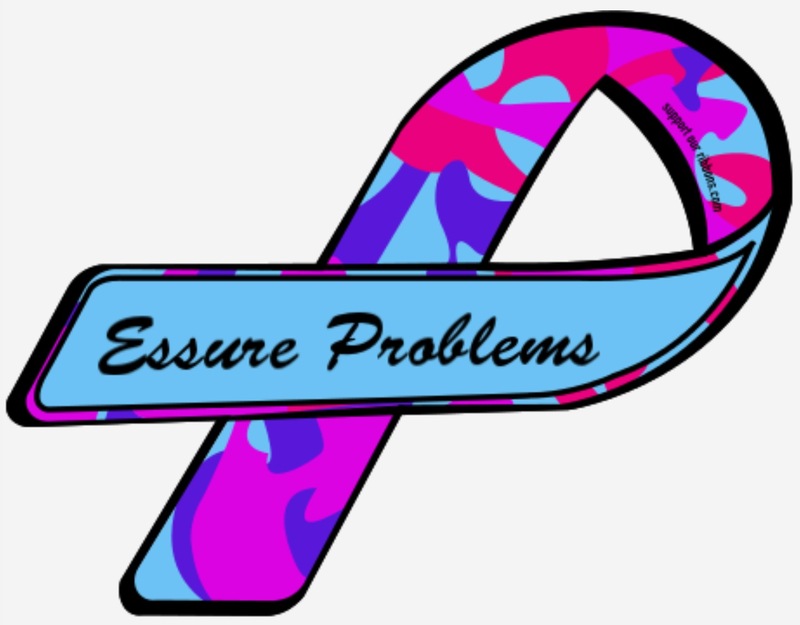 Specifically, a significant Facebook group called Essure Problems, https://www.facebook.com/groups/Essureproblems/ ,now exists where over 34,000 women (and growing every day) support and inform each other by sharing their symptoms and stories. 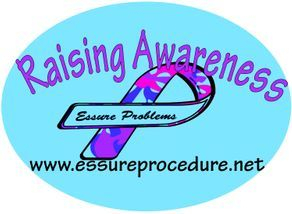 The group has gathered an abundance of valid research, files, articles, reports and a wealth of knowledge about Essure. Furthermore, Essure Problems is currently being championed by Erin Brockovich, a well-known successful consumer advocate, who has dedicated herself to bringing the Essure "nightmare" to the political and public stage. Ms. Brockovich has her own website, www.essureprocedure.net ,committed to exposing this critical cause. There, interested parties can find news and information about Essure, stories of the victims of Essure and a Petition against Essure, which has been signed by over 18,750 people to date. The goal of Essure Problems and Erin Brockovich is to get this hazardous product taken off the market and, also, to overturn an unfair federal law, 21 U.S.C. § 360K(a), most commonly referred to as Pre-Emption. This controversial law protects medical device manufacturers like Conceptus and Bayer from liability lawsuits and from being held accountable for any harm that their product may cause. In 2002, the Food and Drug Administration (FDA) granted Conceptus pre-market approval, which resulted in Essure being the only birth control device to benefit from the federal pre-emption law to date. Most commonly, this status is reserved for "life or death" drugs or devices. Certainly, birth control devices do not fall into the same category. Therefore, women are left with no legal recourse to obtain punitive damages from Conceptus, Inc., or Bayer, no matter how severely they are hurt by the Essure coils. Moreover, many of these women do not have medical insurance or other financial means to resolve their Essure-related health issues. Women need your help now! The federal pre-emption law must be overturned, at least in this particular crucial matter. Also, Essure must be taken off the market to protect the health of innocent women who might be misled into being permanently sterilized by the unsafe Essure devices. Please act on this critical concern immediately! The fate of this country's women is literally in your hands!